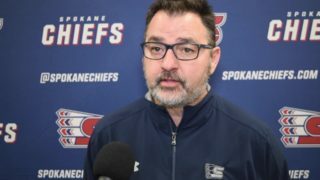 Kent, Wash. — The Spokane Chiefs fell by a score of 2-1 for the second-straight game, losing to the Seattle Thunderbirds in Kent, Wash. on Tuesday night. The Chiefs finish their regular season series against the division-rival Thunderbirds with a 5-1 record. 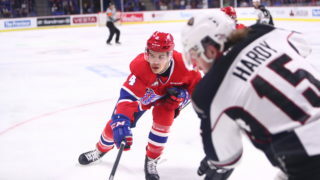 The Thunderbirds jumped out to a 1-0 lead early in the first period as Matthew Wedman – younger brother of former Chief Cole Wedman – punched in his 18th of the season on a 2-on-1 opportunity just over four minutes into play. 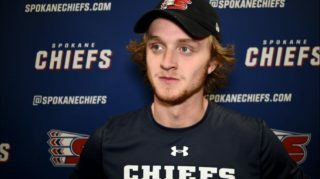 The Chiefs tied it up just before the first intermission as San Jose Sharks prospect Jake McGrew blasted a one-timer in from the left circle with 16 seconds left in the period. The power play goal was McGrew’s eighth tally in nine games, with assists to defensemen Nolan Reid and Filip Kral. 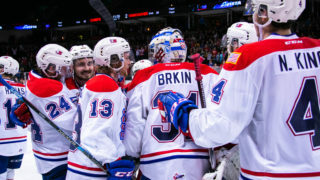 Seattle regained the lead only 24 seconds into the second period as team captain Nolan Volcan slipped one by goaltender Bailey Brkin to reach the final 2-1 score. The Chiefs remain in third place in the crowded U.S. Division, two points ahead of Tri-City. 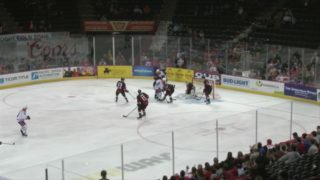 Spokane finished the game 1-for-2 on the power play and 1-for-1 on the penalty kill. They outshot the Thunderbirds, 35-34. 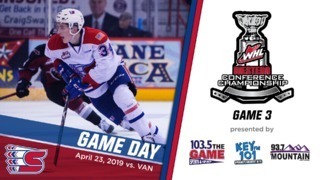 Spokane continues their three-game road trip on Friday night as they take on the Kamloops Blazers at 7 p.m. Mike Boyle will have the radio call on 103.5 The Game with the pre-game show starting at 6:30 p.m.